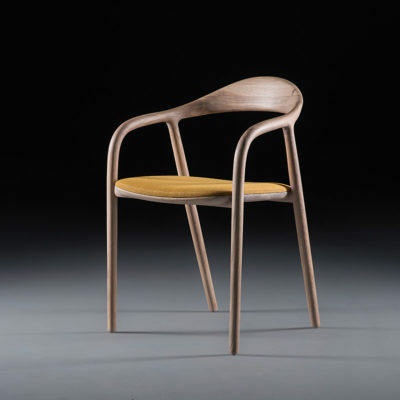 Specification: Interior Innovation Award, German Design Award Nominee, Design Intelligence Award. 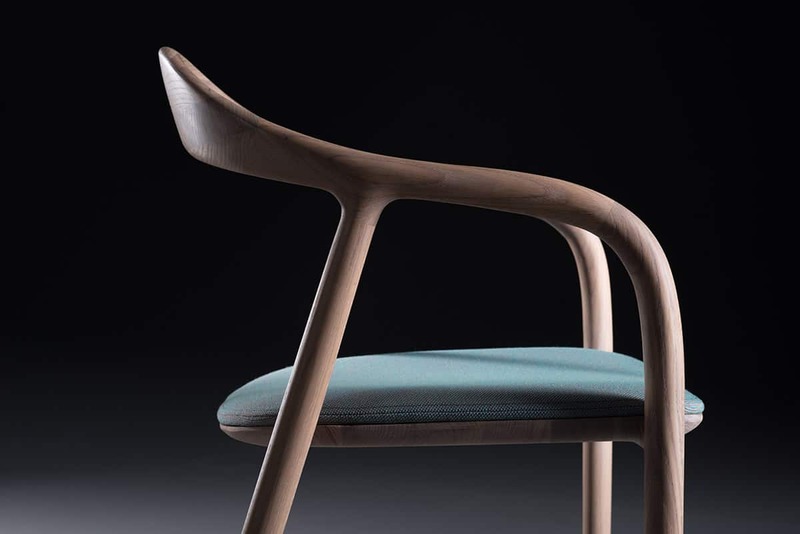 A chair which features sensual and fluid form expressed through soft, angular edges and transitions. 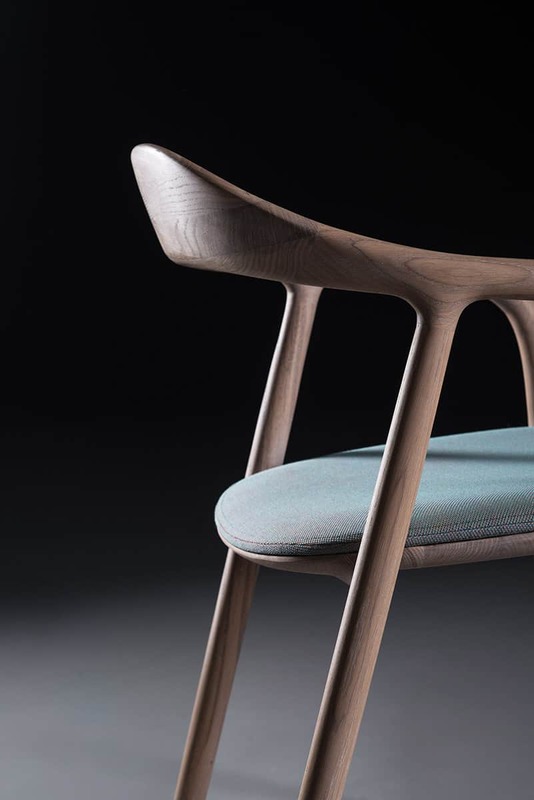 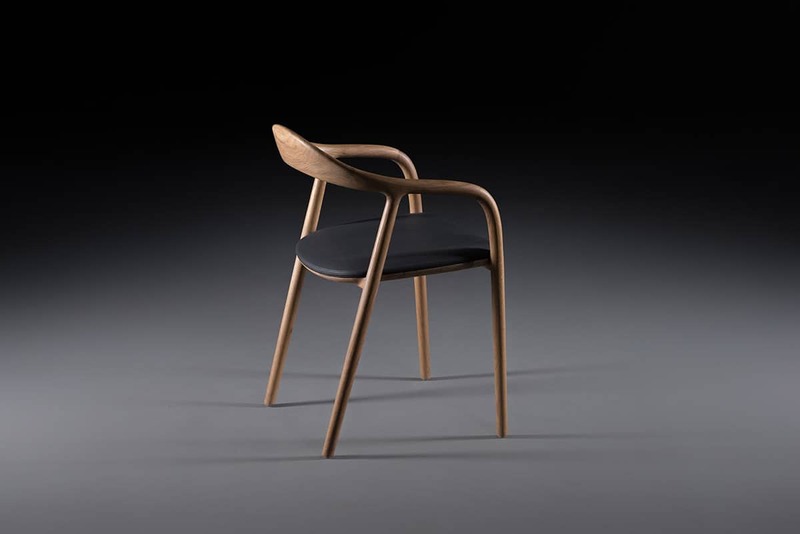 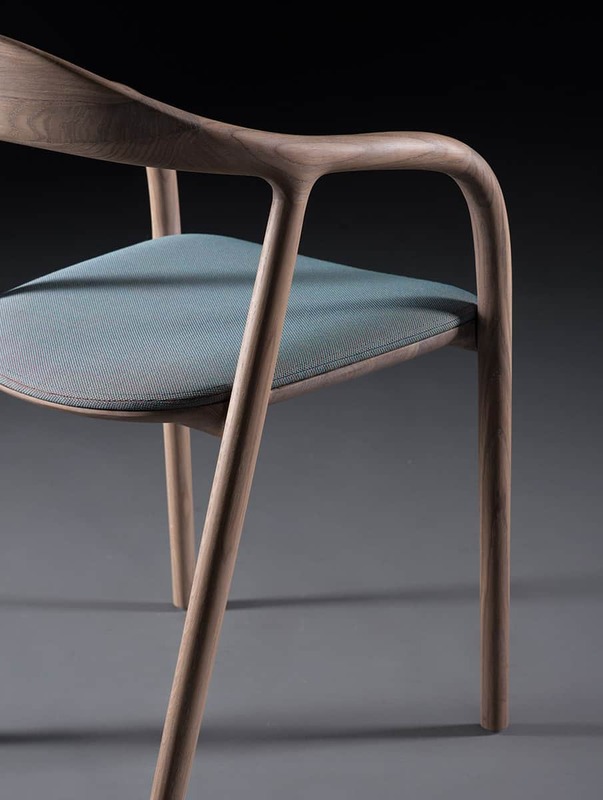 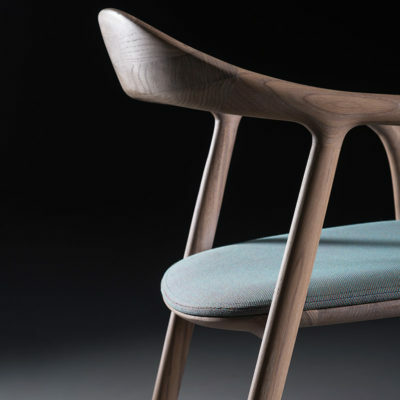 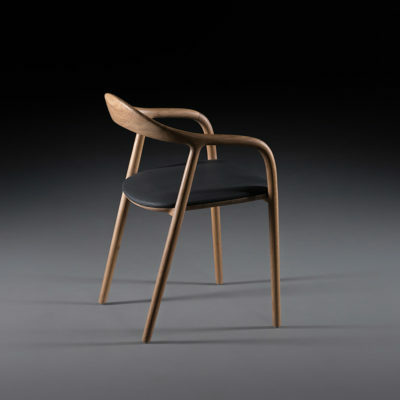 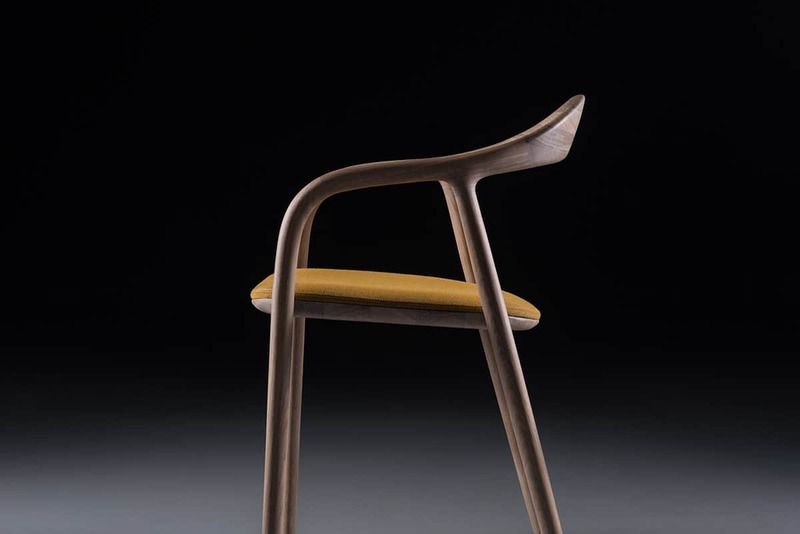 Its tilted and arched backrest flows down into the armrests, creating one continuous line that descends into the front legs. 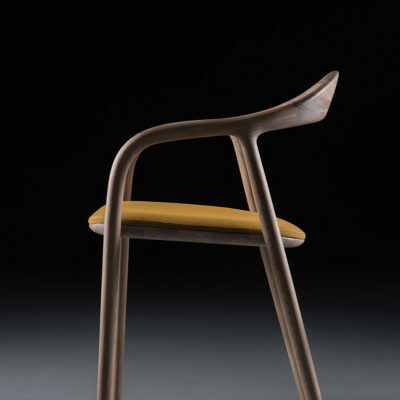 Beside the ergonomics, its delicate surfaces invite additional tactile exploration. 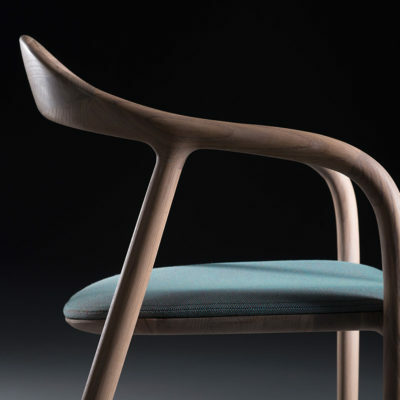 Supremely thin and light and meticulously hand finished from experienced craftsmen. 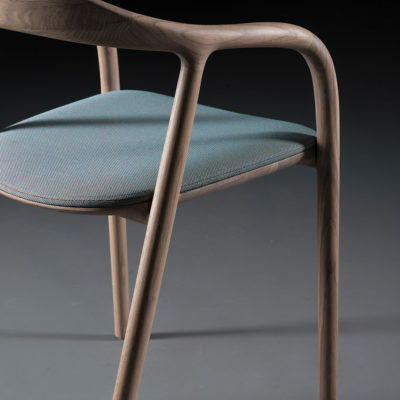 The seat can be ordered in solid wood, or upholstered with leather or fabric. 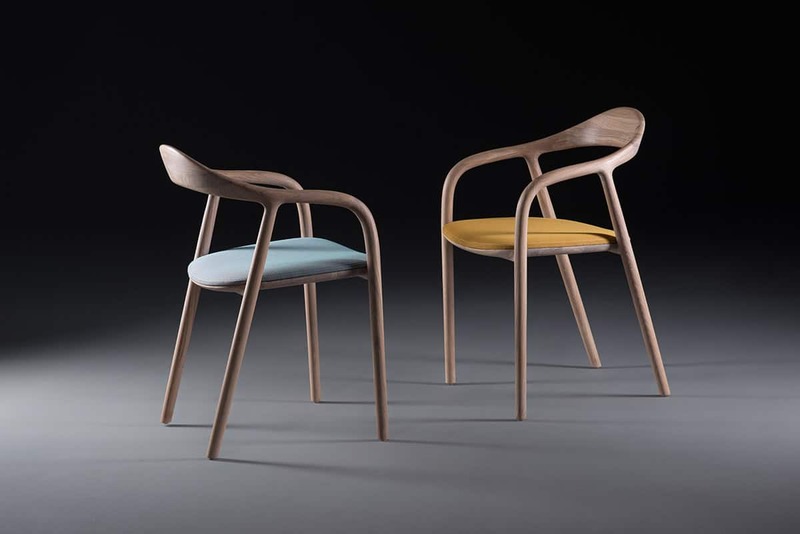 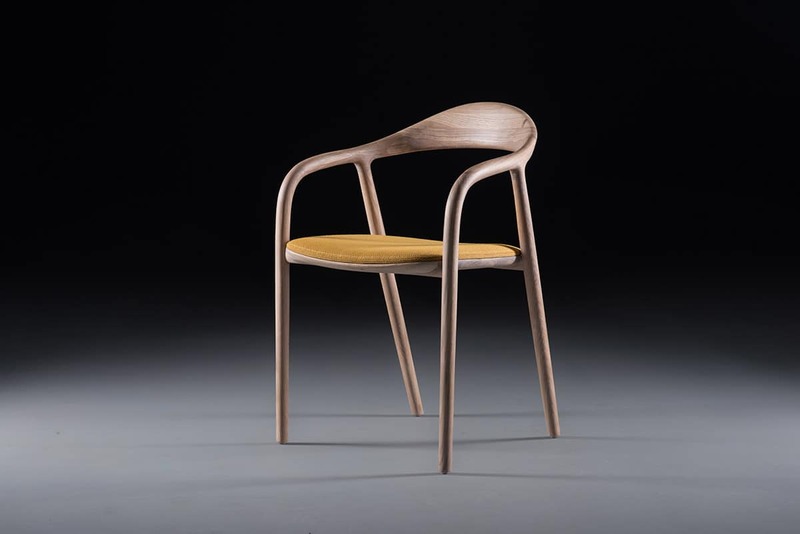 The Neva Chair has featured in numerous international projects.